Leona Hewitt, disguised in men's formal evening clothes, has secretly made her way into Lord Delbridge's private museum to recover a relic stolen from her family years ago. But someone else is there in the dimly lit gallery, on the same errand: a tall, black-cloaked man whose very voice is enough to put her in a trance. Thaddeus Ware, a mesmerist with powerful psychic energy, is accustomed to fearful reactions from others - women in particular. After all, a man who can control the minds and actions of others could rob a lady of her virtue - without her ever knowing! But Leona shows no trace of hysteria in his presence. A force to be reckoned with as both a gifted crystal worker and a woman, she exerts a rather hypnotic power over the hypnotist himself. And she is determined to keep the crystal they recovered, by giving him the slip at a run-down London inn. Thaddeus, on assignment for the secretive Arcane Society, knows the menace Leona is courting by absconding with the crystal. It is a source of remarkable energy, and it holds the potential for great destruction. Lord Delbridge has already killed two men to acquire it, for it is his key to membership in the elite, shadowy group known as the Third Circle. And with the help of a seductive hunter of preternatural skill, dubbed "The Midnight Monster" by the press, Delbridge intends to find her. With the stolen crystal in their possession, the danger is only beginning. This book held my interest from start to finish; the 2 main characters were very believable I felt as if I knew them; the narrator is very good she has a lot of emotion in her voice which adds to making you feel like you're a apart of it all, there was lots of suspense right from the start which I like and it locked its self into the other books in this series, its worth buying. At the end I wanted more. 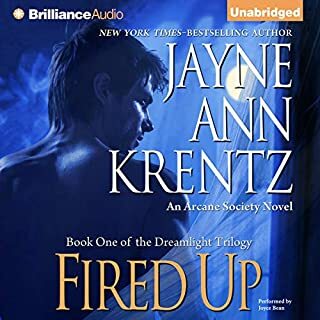 I'm working my way through the Arcane Society series and thoroughly enjoyed the first three books. This book, however, was very disappointing. The story tended to drag, some descriptions were entirely too long, and there were a number of unimportant items and phrases that were repeated over and over just to fill space, it seemed. The narration was mildly disappointing, but not that bad. 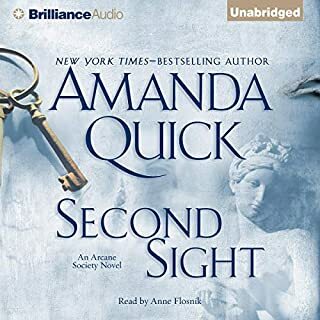 I generally like Amanda Quick stories, but these Arcane Society novels are excellent with a well-developed storyline and strong leading characters. The romance does not overshadow the main mystery. The narrator does an excellent job of portraying the varied characters and their accents. Even though this is not my favorite Arcane novel, nor my favorite reader, I still liked it. Strong female lead & strong male lead who join to battle the baddies. 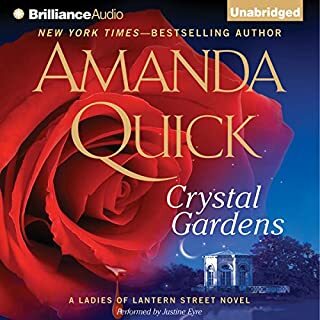 I will always be willing to spend a credit on Amanda Quick. I love my audio books but I couldn't get through this one. It was boring to listen to. Narrator was the biggest disappointment. Hard to listen to the tones she was using to portray the different characters. It just didn't come alive for me. this was a fun fast moving book I really enjoyed this. from the beginning you are captivated with the plot. this is a light fun book I would recommend I hope you enjoy this. 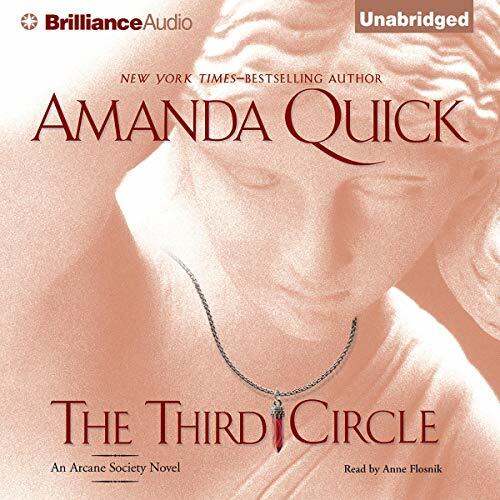 This is another fun Amanda Quick story about the Arcane Society. Sadly, the narrator nearly ruins the story. I usually avoid anything read by this narrator. I don't usually listen to romances but these add a bit of spice and mystery. Not well written and not respectful of the period. The plot was not cohesive and the attitudes of the characters was too modern. The whole thing was just too nonsensical. I love romance but one needs a good story too and this is it. Keep me very entertained. I would definitely recommend.